In a valley that rightfully boasts the first discovery of gold in California, the birthplace of the state's oil industry, a critical rail linkage and the stomping grounds of pioneer Western film makers, it is heartening to know that some of our local educators are passing along our considerable history to their charges. Children at Sulphur Springs Elementary School in Canyon Country are learning that the original version of their schoolhouse was Santa Clarita's first, and that theirs is the second-oldest school district in all of Los Angeles County. You could say the Sulphur Springs story starts in 1860 when Thomas Finley Mitchell rode into the Soledad. 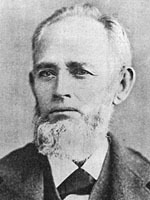 A veteran of the Mexican-American War who served in the Texas Mounted Volunteers under General Sam Houston, Colonel Mitchell had come to California during the gold rush to find his fortune. Mitchell spent the 1850s scouring the mountains from San Gabriel to Inyo in search of salable ores and finally settled on a 160-acre ranch encompassing the modern-day junction of Sand Canyon and Lost Canyon roads. What we call Canyon Country was a desolate area which historian A.B. Perkins once described as being "occupied only by Indians, grizzly bears, coyotes and jackrabbits." Mining activity picked up soon after Mitchell's arrival. Prospectors pitched tents or erected log cabins wherever a new strike was made. The little mining town of Ravenna, initially known as Soledad City, popped up four miles southwest of Acton and became a shipping point from which copper, silver, gold and other minerals were taken by oxen- and mule-driven freight wagons, and eventually by rail, to the port at San Pedro. Famous Los Angeles freighter Remi Nadeau — whose grandson would later purchase a plot of land now known as North Oaks — employed more than 100 drivers to run 80 separate mule teams through the canyon before the trains came a decade later. Meanwhile, Col. Mitchell turned his attention to cattle ranching and bee keeping. He had purchased a small miner's cabin in the Tehachapis in 1858 and moved it down to his new ranch. In 1865 he married 17-year old Martha Taylor, 21 years his younger, and outgrew the cabin. Using clay mud from a well, he built a 60-by-45 foot, redwood-shingled adobe hacienda nearby, where his young bride would give him six children. Not too far up the canyon, near today's Shadow Pines exit off of State Route 14, John Lang was farming his own ranch and running a hotel not unlike the stagecoach stop the brothers Lyon were operating just this side of Beale's Cut. Lang amassed 1,200 acres of property that included about ten foul-smelling natural seepages known locally as sulphur springs. In 1872, the Mitchells and Langs hitched up with the neighboring Stewarts to organize the Sulphur Springs School District. 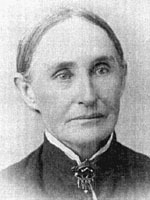 Martha Taylor Mitchell taught the first classes inside the kitchen of her adobe home. Historian Jerry Reynolds writes: "By 1879, the student population stood at 10, so the makeshift school moved to John Lang's hotel-spa-depot, Miss Bowers being hired as teacher. Seventeen scholars showed up for the class of 1886, so Col. Mitchell donated a site for a (wooden) schoolhouse, which was constructed by Lang and Sanford Lyon on the spot where the present Sulphur Springs Elementary School is located." Growth like that would not come again for over 50 years. When folks started moving into Sand Canyon around 1940, the school doubled in size — to two rooms. In 1888 the Mitchells built a proper two-story ranch house. The old adobe was subsequently used as a guest house, honey house and storage room and then fell largely into disuse, many of its original mud bricks eroding in the numerous floods. Some bricks were still good enough in 1919 for Walter Murphy, an heir and son-in-law of Col. Mitchell, to salvage and add onto the original wooden cabin from Tehachapi. The cabin and bricks underwent several further iterations until finally, in 1986, the dwelling was slated for demolition. The SCV Historical Society acquired the bricks from three walls, moving them to Heritage Junction (adjacent to Wm. S. Hart Park in Newhall) where they were reassembled and new bricks fabricated into one of many renditions of the adobe. You can examine the structure any Saturday or Sunday from 1 to 4 pm, or call the Historical Society at (805) 254-1275 to arrange school group tours. The writer thanks Pam Helvey, great-great granddaughter of Col. T.F. Mitchell, for background information.